David Le/Salem News. 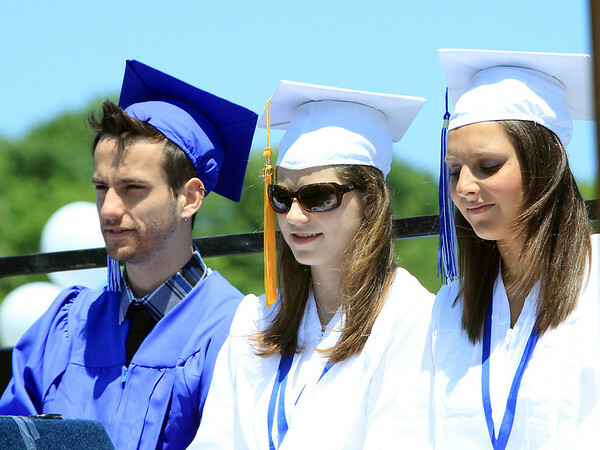 Swampscott High School senior president Matthew Gadman, left, vice-president Maggie Osbahr, and secretary Danielle Goldman, listen to an address from Swampscott High School principal Layne Millington during their graduation ceremonies on Sunday afternoon. 6/5/11.